Well, Jane is absolutely gorgeous and has the most fabulous hair and smile. 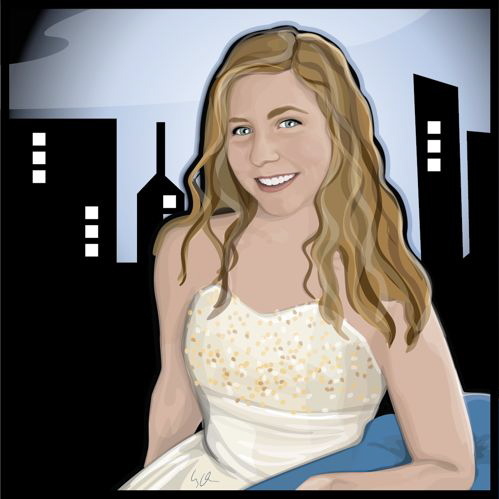 It was such a pleasure to draw her and what a fun theme for her bat mitzvah! I love a city theme.